This well maintained cottage hits every hot button! 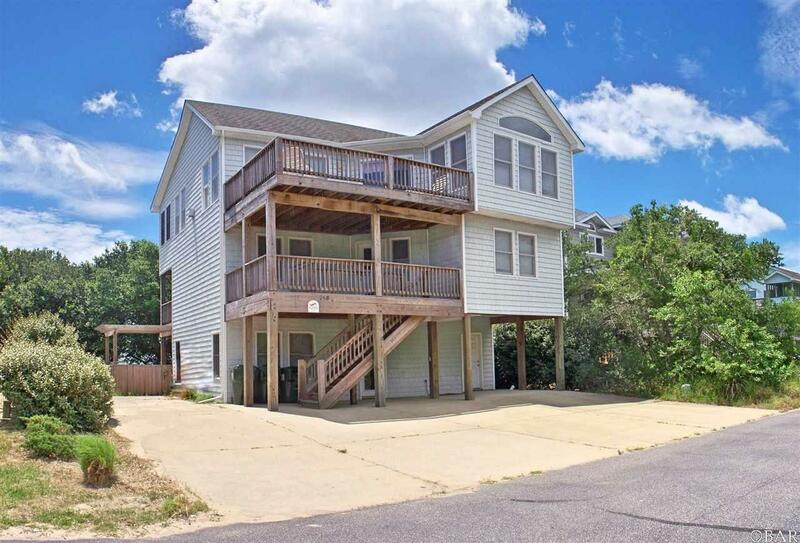 It is the lowest priced rental-ready cottage with an elevator in oceanside Corolla! With over 3300 square feet, 5 bedrooms and 5.5 baths, the layout provides plenty of gathering space for the whole household or multiple locales for smaller groups to congregate. Take the elevator to the top floor to enjoy the wide open living area with cathedral ceilings and attractive wainscoting. The open deck provides space to lounge in the sun, and the smart kitchen with pantry has a counter island that services the dining area. Additional room off living area can be used as a den, breakfast nook, etc. Convenient powder room, plus spacious master suite complete the top level. Mid level features a covered deck, two more suites plus two additional bedrooms sharing the hall bath. 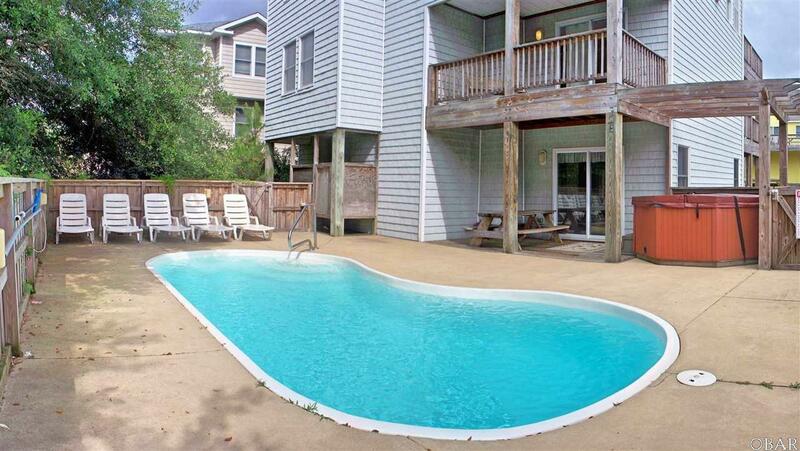 Ground level provides ample gathering space with slider leading to private pool, outside shower and hot tub. 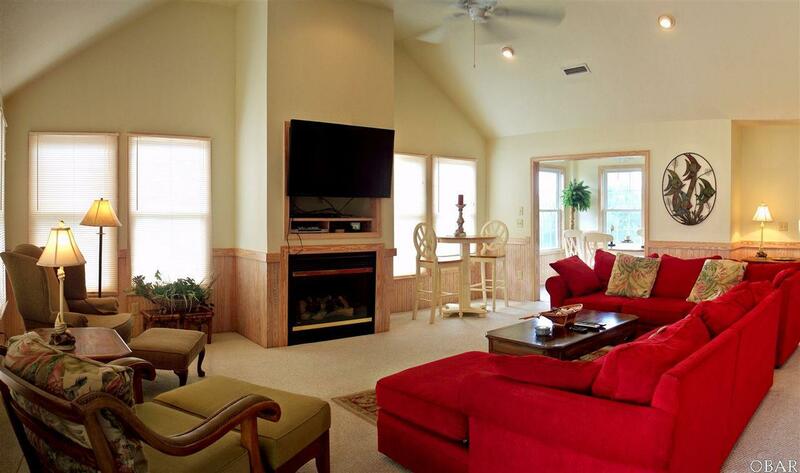 Attractive arches separate the game area from the ceramic entry and kitchenette with full sized fridge and microwave. Step from the pool to the full bath, no need to track wet feet upstairs! Ground level laundry room has cabinets and folding station. 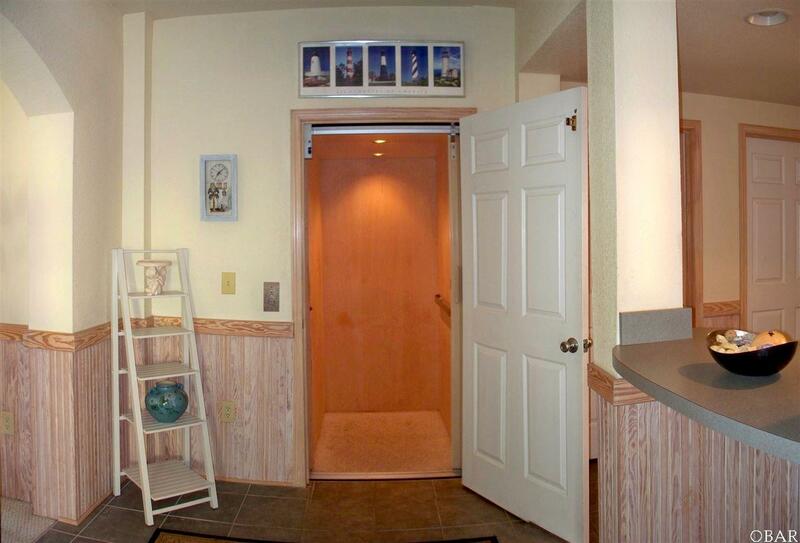 Exterior door opens to utility space with space for bikes, and boogie boards! Ample concrete provides lots of space for cars, nobody gets parked in! Listing courtesy of Jackie Ricks-Sample of Sun Realty - Kdh. © 2019 Outer Banks Association of Realtors MLS. IDX information is provided exclusively for consumers' personal, non-commercial use and may not be used for any purpose other than to identify prospective properties consumers may be interested in purchasing. Information is deemed reliable but is not guaranteed accurate by the MLS or Matt Myatt | Keller Williams. Data last updated: 2019-04-18T21:37:34.823.